Surratt Beauty is one of those harder to find beauty brands that I’ve played with here and there over the past few years. It’s a makeup line designed by artist Troy Surratt and I discovered it a while back when it was exclusive to Barneys New York and am thrilled that products have expanded to Sephora and Space NK. I’ve liked most of the products I’ve tried from his line, in particular some of his lip products like his Prismatique Lips, Lipsliques and Lip Lustres. Today I have a review of his Artistique Blush ($32 each for 0.14 oz/4g, made in Japan). I bought several last year but never got around to reviewing them. There have been some new additions that I ordered online sight unseen and they arrived last week just in time for me to test them out to review for the Sephora VIB Rouge Sale. I have 10 shades to review today and most of them are very light in color. I ordered the newer shades sight unseen and did not know what to expect color-wise but they are excellent in color, pigment and texture. First a few notes on the blushes themselves. They are made with a unique Japanese technique called “slurry” which makes them super lightweight and fine in texture, almost making them feel like a soft silk pillow. They come in individual pans and there are separate compacts you can purchase to put the blush inside. At $32 each they are extremely pricey – to fill a larger compact with 3 blushes costs $118 ($32 x 3 + $22 for 1 compact). The ones I ordered last year were 6 g each and the ones I ordered last week indicate the product amount has been reduced to 4 g. Update – I just received an email from the Surratt Team informing me that the weight of the blushes has always been 4 g and was not reduced, the original ones were labeled incorrectly due to a typo. The products are not magnetic – they have an adhesive sticker which I’ve kept on to make the pans easier to interchange in compacts. Given the price points I do think it would be nice to have magnetic pans. Overall they have a very soft natural looking finish and feel. They are among the most natural looking finish blushes I’ve tried. They meld unlike anything else on the skin. There are a number of great blushes on the beauty market. The ones from Surratt Beauty are unique in their finely milled texture. Even the shimmers look incredibly natural on the face. I do believe there are some more pigmented options but the ones I have are so natural they are impossible to overdo. Per the Surratt Beauty team, the ones I bought last year with the 6 g labels were labeled incorrectly and the weight has always been 4 g. Hope this clarifies any confusion if you have older ones labeled differently from the current ones. The artists I’ve spoken to at the Barneys counters have said the line is inspired by Japanese beauty which is usually very natural. The one word that comes to mind with these is just that, “natural.” The textures are so soft and they don’t really feel like powder. For me the color payoff is better on the face than the arms. Any blush brush will work – I’ve used ones from MAC, Chanel, Marc Jacobs and they all work perfectly. The mattes are the sheerest on my skin. Grisalle is a super soft contour but on the sheer side. It shows up in a noticeable but natural way and it is what I wanted the Kevyn Aucoin Sculpting Powders to be. Out of the finishes I prefer the shimmers – the pigment is just incredible on the skin and super fine shimmer is very very natural looking. The quality and finish is excellent but the prices are extremely high for the amount of product you get. That combined with the expensive price point of the compact to house them all is the only thing that has prevented me from buying more and the only reason I bought the ones I did was because of the Sephora sale (from last year and also I was lucky to get an early access last week). For the ones I picked I think they would only show up on light to medium skin. I do think the shimmers perform better for pigment so if you’re medium tan many of them will probably still show up on you. There are quite a few deeper shades now – I haven’t been able to check them out yet though. Bottom line excellent quality and beautiful textures but extremely expensive. I’ve found colors that work for me and as I’m getting a bit lighter I can wear most of them now. 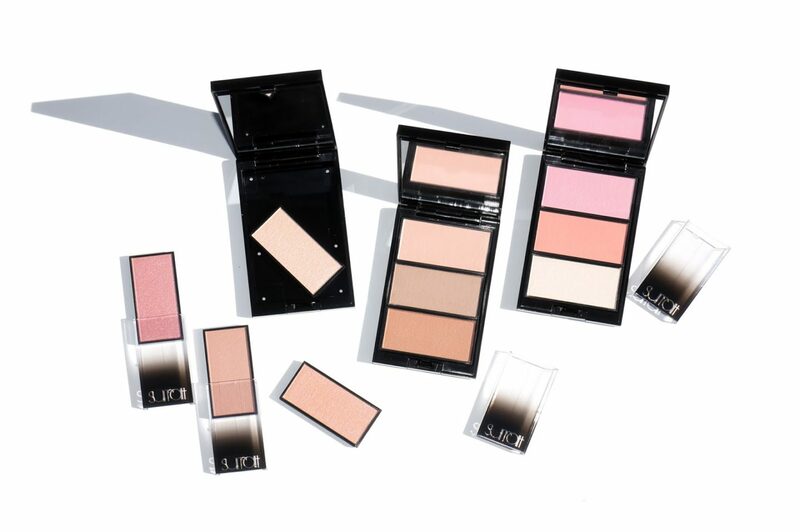 You can find Surratt Beauty at Sephora, Space NK and Barneys New York. If you’re a Sephora VIB Rouge, use code 20ROUGE at checkout for 20% off your orders through 11/7. Sephora VIBs will have access 11/11 to 11/14 with code 20VIB at checkout. Have you tried Surratt Beauty before? What did you think?